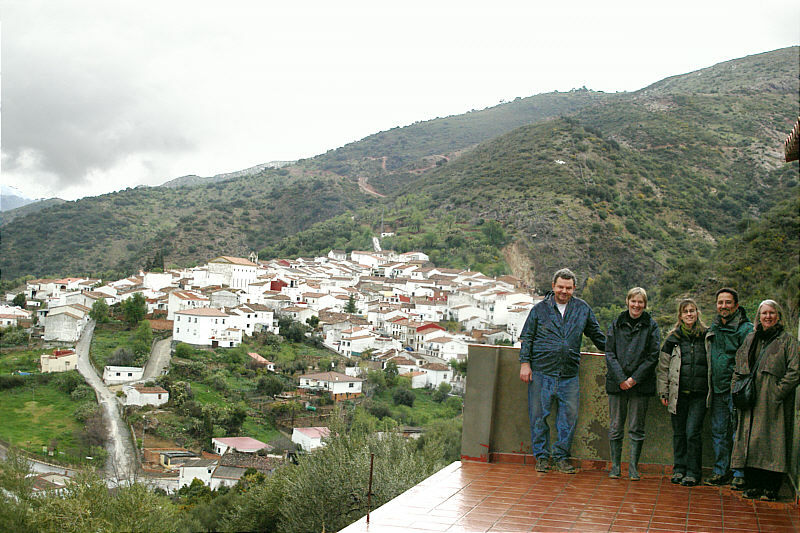 Photo: Chris and Sue on the terrace of their house, Jimera de Libar in the background. Eastern Mojave Vegetation Chris and Sue on the terrace of their house, Jimera de Libar in the background. The basic structure of the house is finished and now the house is ready for tiling, windows, etc. As the house is built on a slope down from the access road, the main floor is the upper, with kitchen, living room, and terrace above. Below are the bedrooms.